How to Drink More Water #Infographic ~ Visualistan '+g+"
Do you feel exhausted even though you're well rested? You might not be drinking enough water each day. 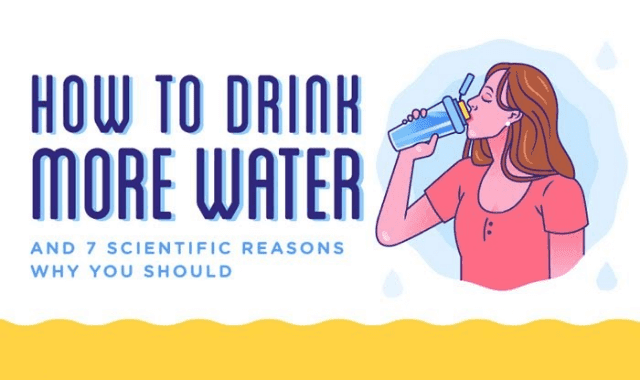 When you drink plenty of water, you're happier and healthier - it's science. With a few simple changes you can stay hydrated all day, every day.